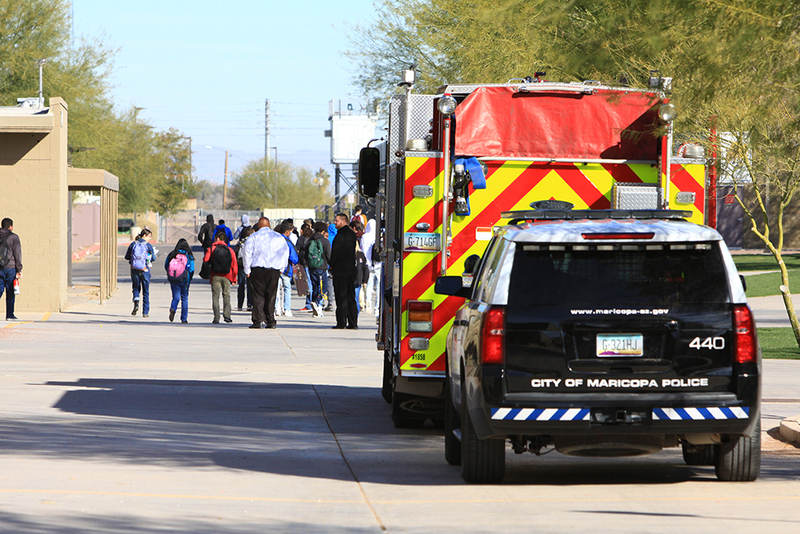 For the second time in four days, a hazardous material unit from Phoenix Fire had to be dispatched to Maricopa High School for a mercury spill. 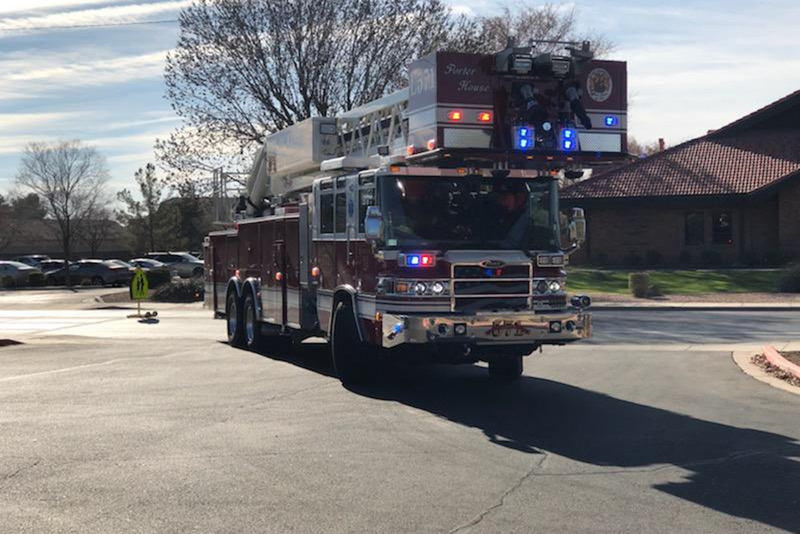 Thursday and Monday nearly identical situations occurred in the school as mercury-filled equipment broke, releasing hazardous materials into a classroom. Thursday, the spill occurred in the culinary classroom while Monday’s contamination was in a science laboratory. Both spills were in the same building. After the spill about 10 a.m. Monday, the 100 building was quarantined for mercury cleanup again. It had just reopened Monday morning after Thursday’s cleanup. According to MUSD, the modified lockdown will be lifted at 12:40 p.m and all students will report to their seventh period class for the remainder of the day. Those will classes normally in the 100 building will go to the gym. Future Freshmen Night will happen tonight as originally scheduled. Alvarado said the mercury is a hazardous material problem because it can easily go airborne once exposed to heat. He said the room will be quarantined until it is cleaned up by a private contractor. 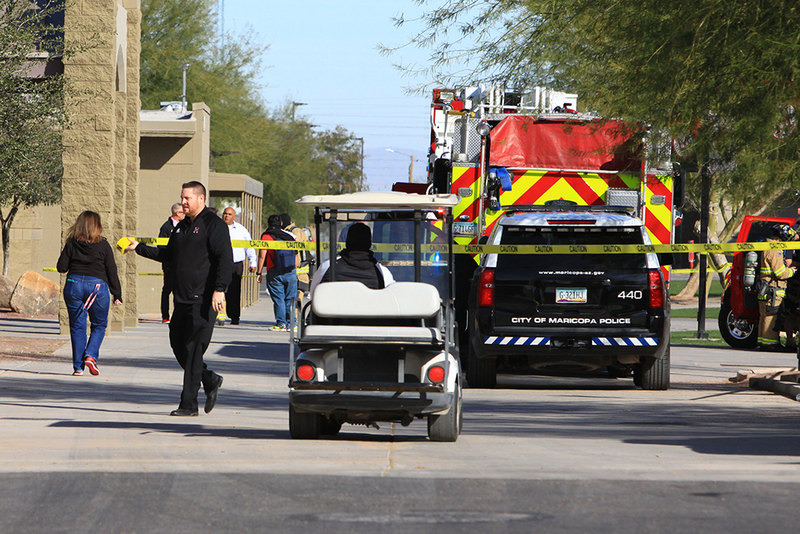 Alvarado said a school resource police officer and about 48 students were in the building at the time the thermometer broke and they were quarantined until cleared by the Phoenix HazMat team. “Until they are cleared, we treat that as an exposure,” Alvarado said. On Thursday Alvarado said the mercury-filled items that broke was brought to school by a student while Monday’s broken thermometer did belong to the high school. “It is something we will be speaking about with the school and possibly changing those out. This is going to take several hours. I think last time we were out here for five hours,” Alvarado said. The Phoenix HazMat Team responded to the spill under a mutual-aid agreement between the two cities.